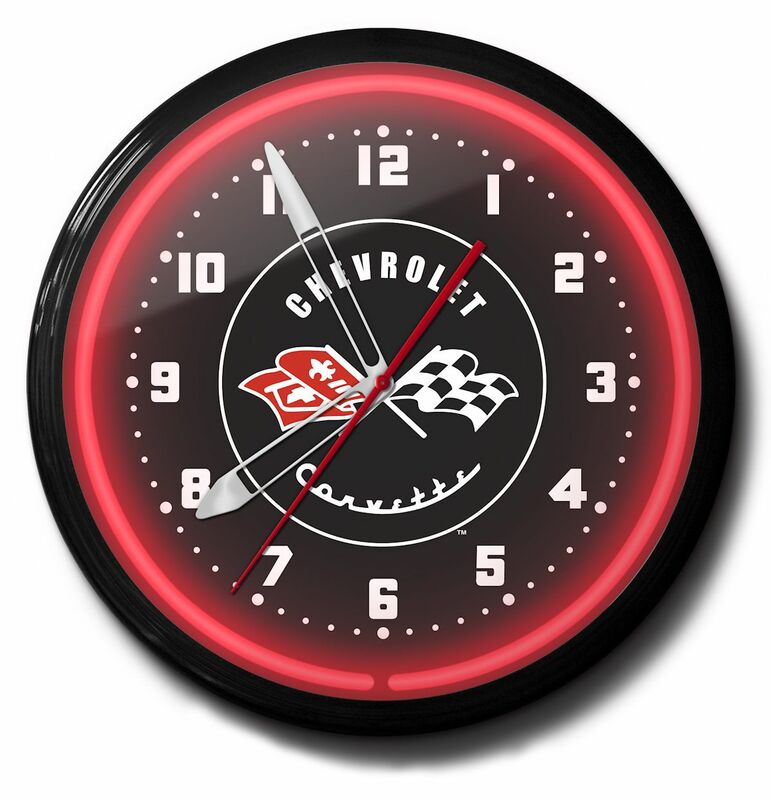 The 20 Inch Quality Corvette Neon Clocks are sold by The Motor Bookstore at the best prices available with Free Shipping! 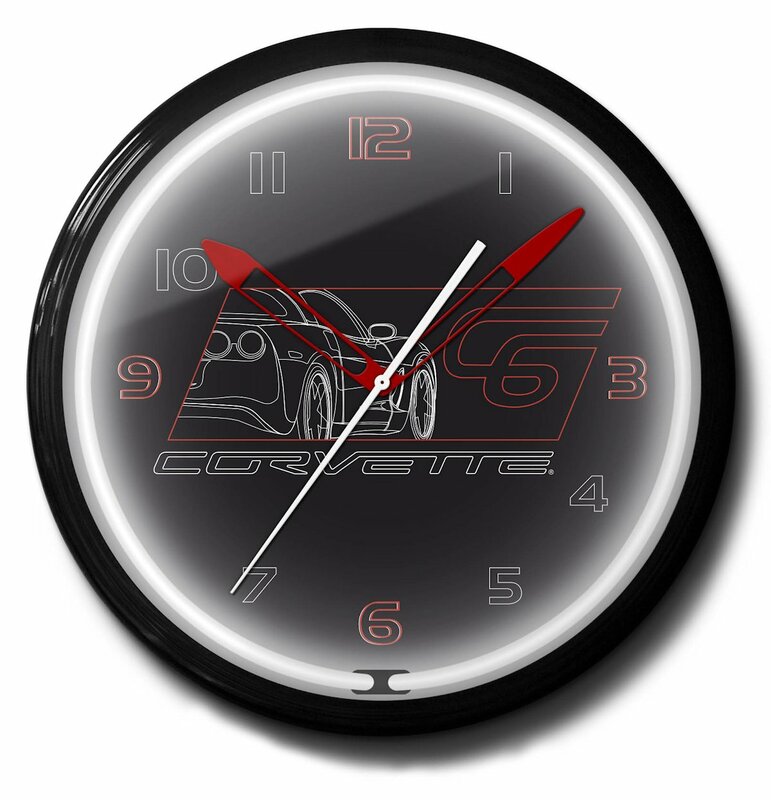 The Quality Corvette Neon Clocks include the Corvette 53-55, Corvette 56-57, Corvette Banded, Corvette C4, Corvette C5, Corvette C6 Black, Corvette C6 Red, Corvette C6 Yellow, Corvette Cars, and Corvette Stingray. Each are perfectly designed time pieces. 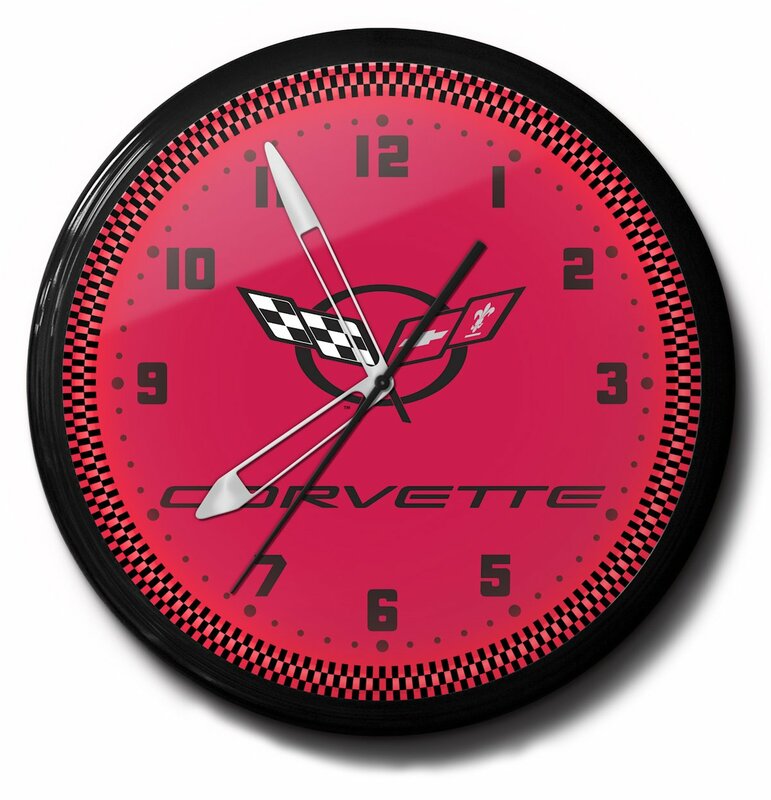 The 20 inch and 15 pound Quality Corvette Neon Clocks are each highlighted with a 1/2" long lasting neon tube that will light up the clocks in a stylish way. 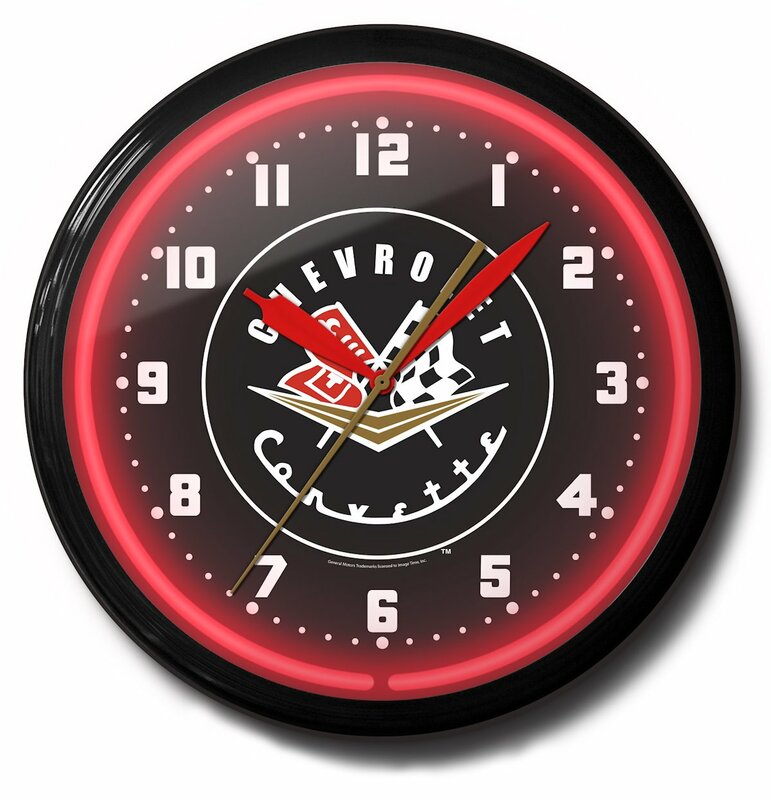 These clocks would be a great addition to and complete any game room, garage, etc. These clocks were made in the USA and include a hand spun 5 1/4 inch metal bezel. The clock face is protected by 5/32 inch crystal clear glass. 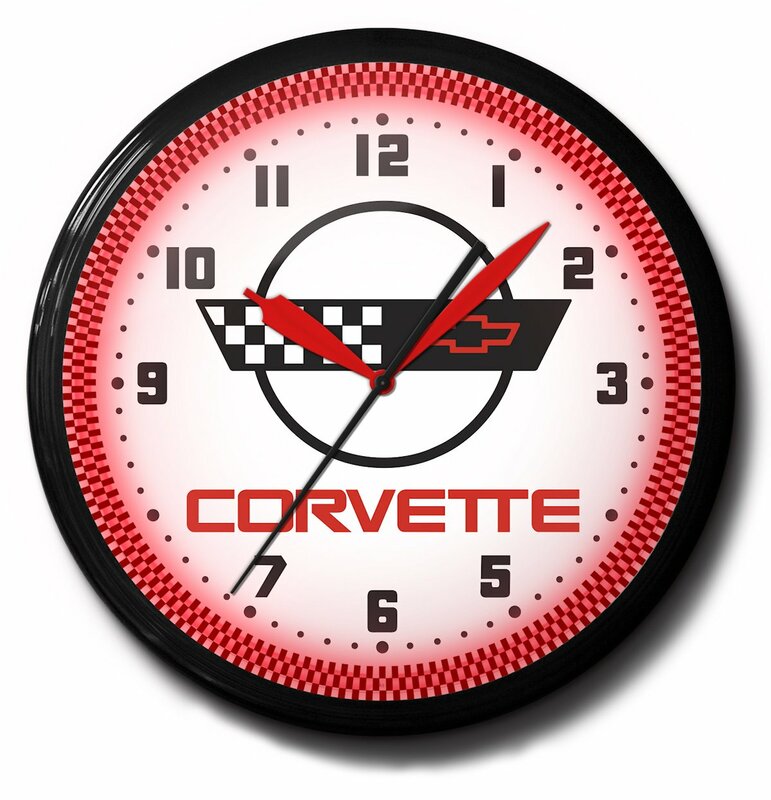 The manufacturer builds the Quality Corvette Neon Clocks with top of the line materials and tools. They only use the best artist, which guarantees exceptional craftsmanship. This clock will not only look good wherever you choose to hang it, but will last for over 100,000 hours, about 11 years, without a bulb change. 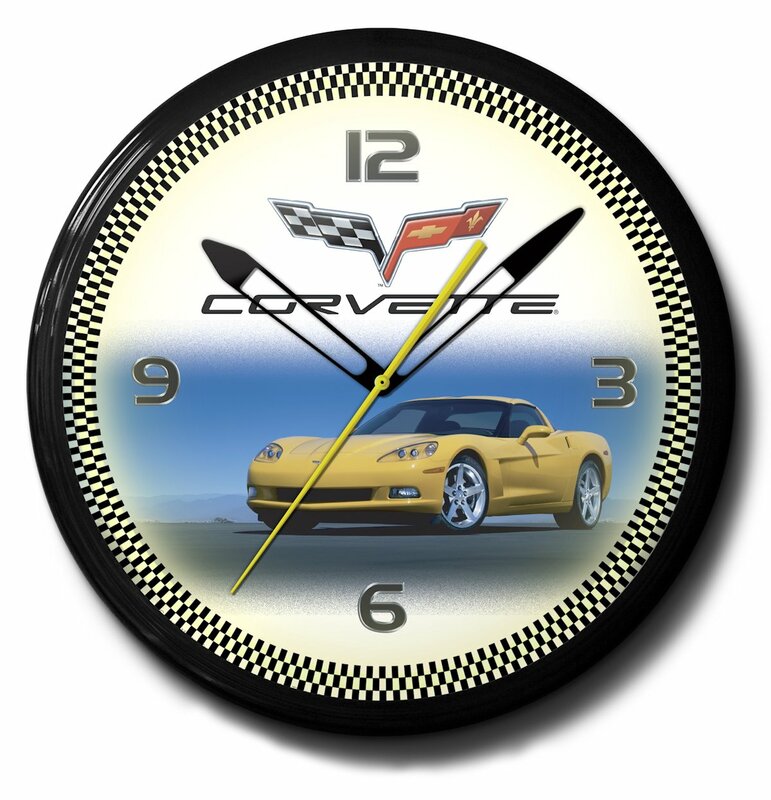 The Quality Corvette Neon Clocks are specially designed for the Corvette lover. 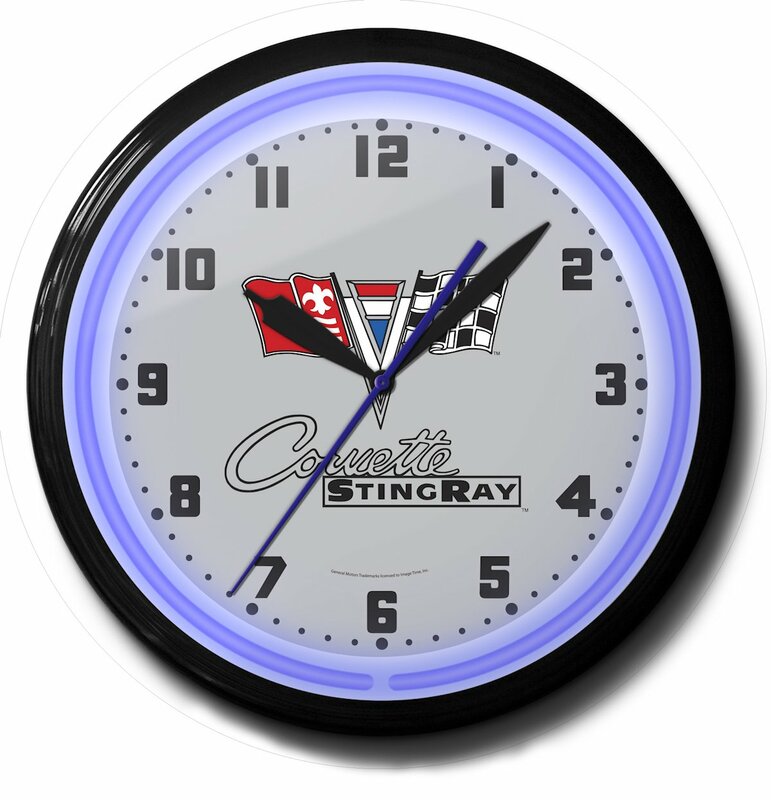 Hanging any of these clocks up in any environment, especially your shop, garage or business, will add individuality and style to your space. 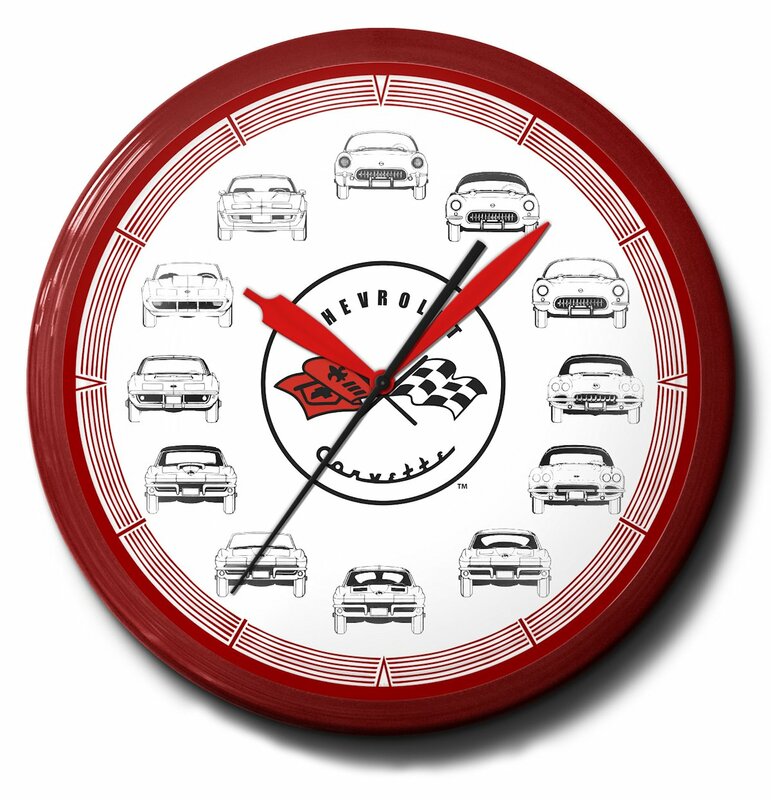 These clocks promise to give any setting a nostalgic and authentic new look.